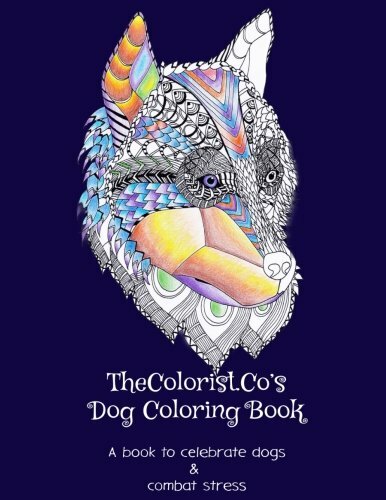 Ginnie has just published an Adult Colouring Book on Dogs containing 20 handdrawn images. "I love to draw intricate black and white patterns. I prefer to hand draw my pictures over using software. In my first coloring book, I [have] explored line drawing methods to create intricate dog pictures. It has proven to be an amazing journey and I'm planning to release more animal drawings and coloring books in the future." More Info from Amazon Review: "Great glossy cover, good paper quality, good tooth grade, picture quality is nice and clear. " Artist Discovered on Instagram. No other info available.